Open up the frozen puff pastry. Place on a non-stick cookie sheet. 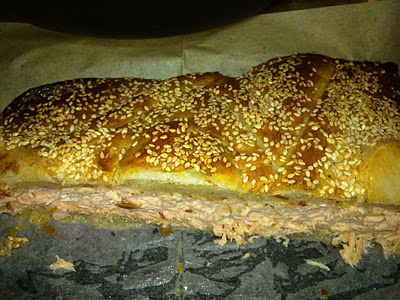 Place the salmon over the pastry dough. Sprinkle salt, black pepper, and garlic to taste over the fish. 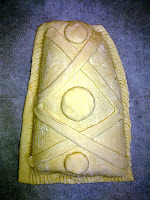 Cover the salmon with the pastry. Pinch the edges shut. Brush the pastry with the egg. Sprinkle the sesame seeds over the pastry. Serve the salmon in pastry with a crisp green salad, and a chilled white wine.